“We are very pleased with the level of support we have received in respect of the Placing from new and existing investors. 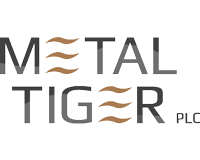 The Placing will enable Metal Tiger to, among other things, enter into constructive negotiations with Kalahari Metals, regarding the Company potentially providing further financing for proposed exploration drilling at the Okavango and Ngami projects. It will also allow us to continue to take advantage of opportunities that are identified by the Company. 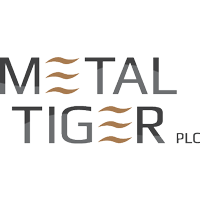 Metal Tiger (LON: MTR), the London Stock Exchange AIM listed investor in strategic natural resource opportunities, today announced a placing with new and existing investors, to raise gross proceeds for the Company of approximately £1.0 million, through the issue of 70,010,345 new ordinary shares of 0.01p each in the capital of the Company at a price of 1.45p per share. The Placing Price represents a premium to the middle market closing price on 8 February 2019. The Company will also issue to participants in the Placing one warrant for every two Placing Shares subscribed for by them in the Placing (the “Warrants”). Each Warrant will entitle the holder to acquire one new Ordinary Share (a “Warrant Share”) on its exercise. Each Warrant will be exercisable at a price of 2p during a two-year period commencing from the date of admission of the Placing Shares and will be non-transferable. The Placing was undertaken by the Company’s sole broker, SI Capital. In addition to the Placing, the Company is pleased to announce that it has signed a non-binding term sheet with Sprott Capital Partners LP and certain of its affiliates (“Sprott”) (the “Sprott Term Sheet”). Sprott will act as finders on behalf of the Company in order to complete a non-brokered private placement to raise up to an additional approximately £3.0 million (the “Sprott Offering”) through the issue of new Ordinary Shares (“Sprott Offering Shares”) at the Placing Price and the further issue to participants in the Sprott Offering of one warrant for every two Sprott Offering Shares subscribed for by them in the Sprott Offering (the “Sprott Warrants”). Each Sprott Warrant will entitle the holder to acquire one new Ordinary Share upon exercise of the Sprott Warrant in accordance with its terms (a “Sprott Warrant Share”). Each Sprott Warrant will be exercisable at a price of 2p during a two-year period commencing from the date of admission of the Sprott Offering Shares and will be non-transferable. The Sprott Offering is expected to close on or before 8 March 2019 (“Closing Date”) and is subject to the conditions as detailed below being satisfied. The Placing is not conditional on the completion of the Sprott Offering. The Closing Date will be subject to certain conditions outlined below (the “Closing Conditions”) and the Sprott Offering is conditional upon the Closing Conditions being satisfied, which include, inter alia, completion of corporate due diligence on Metal Tiger, including favourable legal opinions of counsel to Metal Tiger in connection with corporate, securities and title matters, as well as the execution of binding documentation in relation to the Sprott Offering between the Company and Sprott (the “Sprott Agreements”). The Sprott Offering will also be conditional upon any required regulatory approvals. Michael McNeilly and Charles Hall, Chief Executive Officer and Non-Executive Chairman of the Company respectively, are participating in the Placing, investing £14,500 and £58,000 for 1,000,000 and 4,000,000 Placing Shares together with 500,000 and 2,000,000 Warrants respectively. In addition, Dianne Grammer, the wife of Terry Grammer, a Non-Executive Director of the Company, is investing £137,500 for 9,482,759 Placing Shares together with 4,741,379 Warrants. As Directors and an associate of a Director, they are deemed to be related parties of the Company as defined in the AIM Rules for Companies (“AIM Rules”), and accordingly their participation in the Placing (“Directors’ Participation”) constitutes a related party transaction pursuant to Rule 13 of the AIM Rules. The independent Directors of Metal Tiger (being Mark Potter and Neville Bergin), consider, having consulted with the Company’s nominated adviser, Strand Hanson Limited, that the terms of the Directors’ Participation in the Placing are fair and reasonable insofar as the Company’s shareholders are concerned. Sprott is an associate of Exploration Capital Partners 2014 Limited Partnership, a substantial shareholder of the Company as defined in the AIM Rules, and therefore Sprott is deemed to be a related party of the Company for the purposes of the AIM Rules. As a result, the entering into the Sprott Agreements will constitute a related party transaction for the purposes of Rule 13 of the AIM Rules, at that time. The Placing is conditional upon, amongst other things, admission of the Placing Shares to trading on AIM (“Admission”). Following Admission, the Placing Shares will represent, in aggregate, approximately 4.93% of the Company’s then enlarged issued ordinary share capital. Application will be made to the London Stock Exchange for the Placing Shares to be admitted to trading on AIM. It is expected that Admission of the Placing Shares will become effective and that dealings in the Placing Shares will commence at 8.00 a.m. on or around 18 February 2019. Following the issue of the Placing Shares, the number of Ordinary Shares in issue in the Company will increase to 1,419,966,410. For the purposes of the FCA’s Disclosure Guidance and Transparency Rules (“DTRs”), the issued Ordinary Share capital of Metal Tiger following Admission will consist of 1,419,966,410 Ordinary Shares with voting rights attached (one vote per Ordinary Share). There are no Ordinary Shares held in treasury. This total voting rights figure may be used by shareholders as the denominator for the calculation by which they will determine whether they are required to notify their interest in, or a change to their interest in, Metal Tiger under the DTRs.